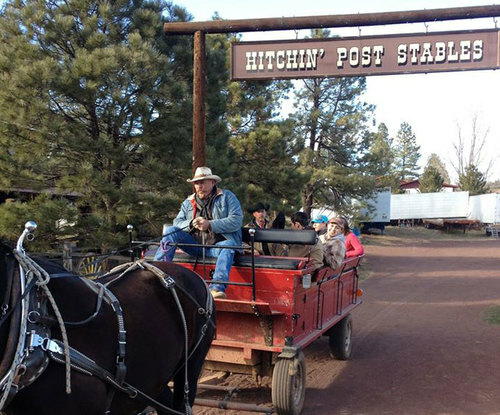 Wagon Ride Through Coconino National Forest with Hitchin' Post Stables is no longer available. 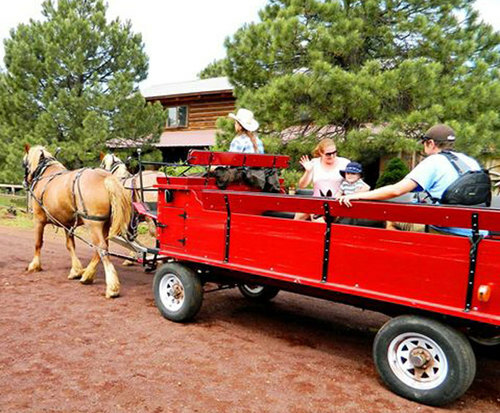 Your adventure begins at the dude ranch in Flagstaff, Arizona as you mount your horse or climb onto your horse-drawn wagon and follow your experienced guide out into the serene Coconino National Forest. You'll be surrounded by a gorgeous 10,000 acre pine forest filled with fascinating vegetation and wildlife and of course, that fresh pine scent! Keep your eyes peeled for bull elk, porcupine, deer, squirrels or bobcats because you'll see a lot of interesting creatures roaming the area. Follow your expert guide through the forest as they share interesting trivia and the history of the area. You'll enjoy a peaceful tranquility that can only be found in the depths of this wildlife park as you travel deep into the national forest filled with sweet-smelling ponderosa pines, bottomless canyons, breathtaking meadows and stunning wide open views. If you're on horseback, you'll even be able to spot a natural cave that lies deep within Walnut Canyon. 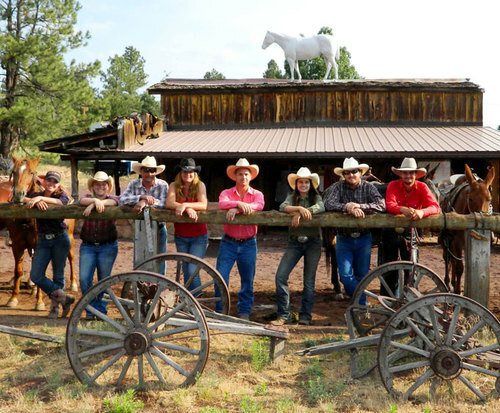 Add a hot cowboy cookout to your trail ride if you choose one of the longer rides and spend a good chunk of your day exploring the beautiful Coconino National Forest. However long you decide to remain on horseback, you'll love the one-of-a-kind adventure that Hitchin' Post Stables offers with a thrilling trail ride through one of our nation's most beautiful national forests. Suggested attire for riders is closed toed shoes and long pants.